As the United States prepares for a possible war in Iraq, a University of Southampton academic is re-assessing the impact of the My Lai massacre during the Vietnam War on American history and memory. In March 1968, US soldiers killed more than 300 villagers in My Lai as part of a "search and destroy" mission, led by Lieutenant William Calley who was later convicted of murder. News of the massacre did not emerge until November 1969 and prompted intense debate in the US. A military commission later found widespread failures of leadership, discipline and morale. Historian Dr Kendrick Oliver has been researching the subject for more than four years, accessing information from the Nixon Presidential Materials and the Vanderbilt University in Nashville, which houses the country's largest television news archive. His book on the subject is scheduled for publication in 2005. "Some analysts say the massacre was a real turning point for Americans," commented Dr Oliver. "Argument raged between those who thought it was all down to an aberrant group of undisciplined troops, those who ascribed it to the nation's war-making policies in general, and those who thought it reflected man's natural capacity for evil. Ninety-one per cent of the American people said they had closely followed Lt Calley's trial and his imprisonment prompted a wave of popular protest. I'm looking at how the country tried to reconcile what had happened with the national self-image." 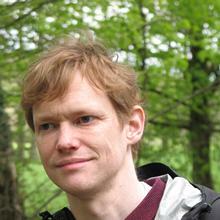 Dr Oliver's research has been assisted by a £13,000 grant from the Arts and Humanities Research Board.